November 26th, 2011. Edirne, Turkey. Work of an architect Mimar Sinan, 1490-1588 who was the chief Ottoman architect and civil engineer for sultans of that time. 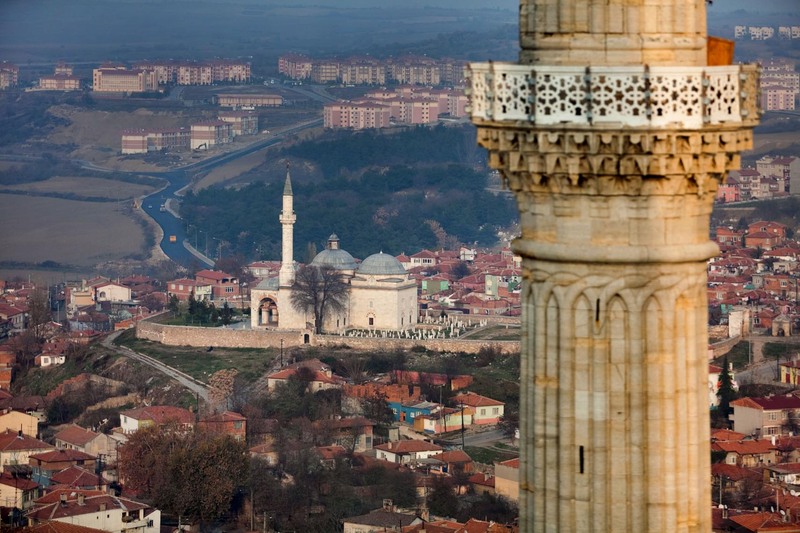 Here, a view of Muradiye Mosque (1433) past a minaret of the Selimiye Mosque, completed in 1575 in Edirne, a UNESCO world heritage site since 2011. Piotr Redlinski for The New York Times.